I have a Logitech G5 mouse, and always loved it. However, since I have my new laptop, I bought a simple, wireless Logitech mouse, and in fact I am doing quite alright when gaming with it. Yes, I miss the dpi change possibility sometimes, but overall, it doesn't really affect my accurancy that much. But what do you think is the best gaming mouse? Personnaly, I like the G5. But that's also because I haven't use any of the others, so I can't really compare. I have an older Razor Diamondback and a new Death Adder. 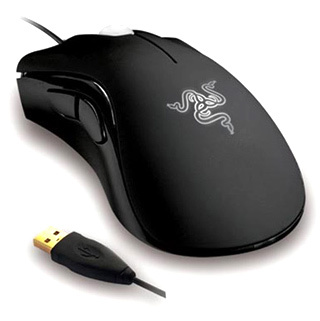 The death adder blows the old one away! I find it a little more comfortable than G5. On another note I recently picked up a new keyboard too. I must say my G19 is hands blown away better than my Zboard. Bassie999 wrote: Personnaly, I like the G5. But that's also because I haven't use any of the others, so I can't really compare.